Temporary Injunction- Application under O.39 R.I and R.2 not to be dismissed on ground of lack of jurisdiction in absence of any application by defendants for rejection/return of plaint under O.7 R.11 or R.7 R.10 CPC on this ground—Question of jurisdiction requires leading of evidence at an appropriate stage—Order dismissing the application set aside. Comments Off on Temporary Injunction- Application under O.39 R.I and R.2 not to be dismissed on ground of lack of jurisdiction in absence of any application by defendants for rejection/return of plaint under O.7 R.11 or R.7 R.10 CPC on this ground—Question of jurisdiction requires leading of evidence at an appropriate stage—Order dismissing the application set aside. Injunction—Unauthorized construction by tenant—Only Civil Court has jurisdiction to grant such interim relief and not the Rent Controller. Comments Off on Injunction—Unauthorized construction by tenant—Only Civil Court has jurisdiction to grant such interim relief and not the Rent Controller. Injunction—A person who is out of possession of the land in dispute is not entitled to injunction. Comments Off on Injunction—A person who is out of possession of the land in dispute is not entitled to injunction. 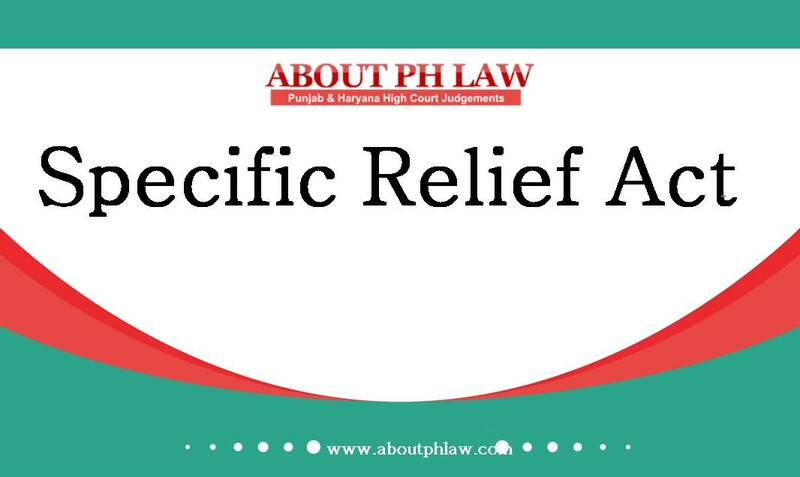 Interim order was passed on 31.10.2015 whereas caveat was filed on 3.11.2015—Thus, there cannot be any intentional and willful act of concealment on the part of plaintiff-­Order vacating the interim relief set aside. 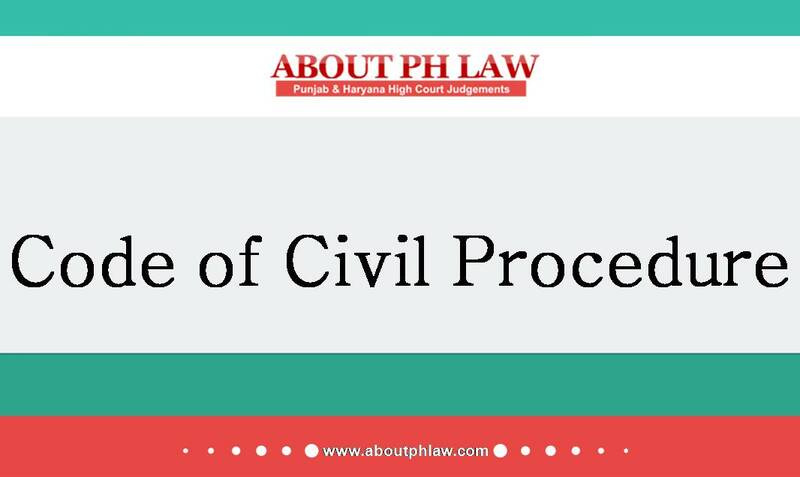 Comments Off on Interim order was passed on 31.10.2015 whereas caveat was filed on 3.11.2015—Thus, there cannot be any intentional and willful act of concealment on the part of plaintiff-­Order vacating the interim relief set aside. Injunction—Against co-sharer—If the other party is allowed to do the act, which cannot be compensated in terms of money then the case has to be decided on preponderance of the documentary evidence and not the actual and factual aspect at the spot. Comments Off on Injunction—Against co-sharer—If the other party is allowed to do the act, which cannot be compensated in terms of money then the case has to be decided on preponderance of the documentary evidence and not the actual and factual aspect at the spot. Injunction—Encroachment—Trespasser who illegally encroached upon the Gram Panchayat land by using muscle power, money power and in collusion with State officials and even Gram Panchayat, are not entitled to any relief. Comments Off on Injunction—Encroachment—Trespasser who illegally encroached upon the Gram Panchayat land by using muscle power, money power and in collusion with State officials and even Gram Panchayat, are not entitled to any relief. Injunction—In a suit by plaintiff, application for interim injunction by the defendant cannot be entertained. Comments Off on Injunction—In a suit by plaintiff, application for interim injunction by the defendant cannot be entertained. Injunction—Violation of order—The purpose of the provisions is to enforce the orders of the Court and not punish the violators. 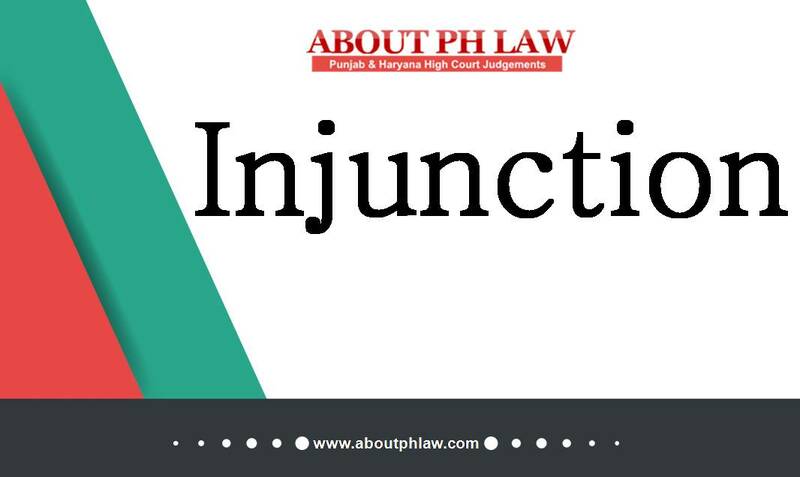 Comments Off on Injunction—Violation of order—The purpose of the provisions is to enforce the orders of the Court and not punish the violators. Specific Relief Act, 1963, S.37–Injunction–Possession of Land-Plaintiff claimed title on basis of irrevocable GPA–Defendant No.1 claimed through defendant no. 2 and 3 but they did not support his case-Injunction held to be rightly granted in favour of plaintiff. Comments Off on Specific Relief Act, 1963, S.37–Injunction–Possession of Land-Plaintiff claimed title on basis of irrevocable GPA–Defendant No.1 claimed through defendant no. 2 and 3 but they did not support his case-Injunction held to be rightly granted in favour of plaintiff.